Few months left away for Microsoft new operating system windows 8 is due to be launched, the manufacturing partners started to promote. 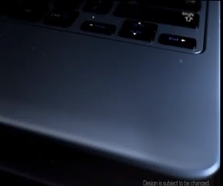 Samsung new notebook featuring windows 8 operating system has been teased on Samsung notebook official video channel. Watch the video below for clear picture, with a little description here is that, it displayed the rounded edges with brushed metal. Thin and stylish keyboard panel, stylus port. The most notable part of this video is the title of this teaser “Something Smarter is coming”, which remind us this could be a hybrid or something else but it would be a new era in technology as the video said. While it is still not clear that when Samsung is going to release its new windows 8 notebook, although the video description says that the time is near for the big reveal .this video below was published at YouTube on 21, Aug 2012.